The cross carried in procession this past weekend and at our Sunday service was acquired by the Cathedral in 1922, the year the Church of the Holy Trinity was named as a pro-Cathedral, and the year before the dedication of the memorial cloister. It was given to the church by the people of the Diocese of Erie, in Pennsylvania, in memory of Bishop Rogers Israel, D.D. (1854-1921). Bishop Israel was the first bishop of Erie. 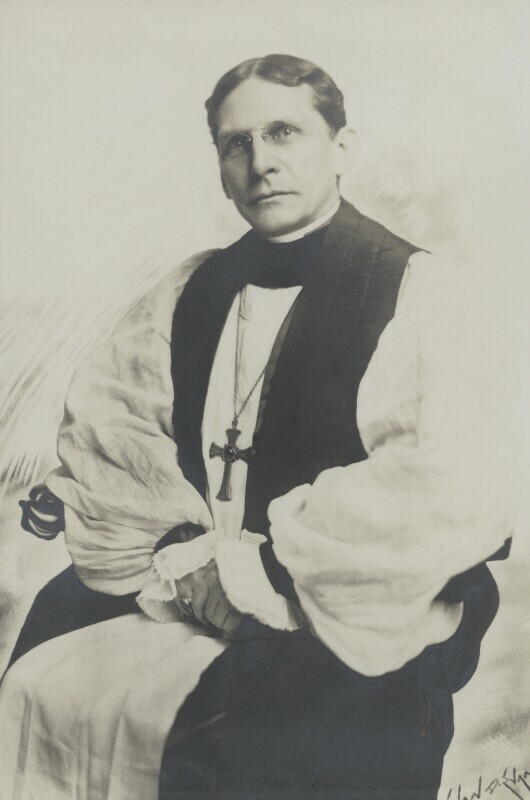 Following the death of his beloved wife Sara in 1916, and at the age of 62, the bishop left for France on July 4, 1917. He served as a chaplain for the American Red Cross, working tirelessly at the front and at base hospitals. He returned to his diocese after the war but died in January 1921 from the effects of his long and self-sacrificing efforts. This cross was given by his people in the Diocese of Erie to commemorate his services in France.